Comments: Sweet Sunny South is an old traditional hymn tune, done bluegrass-country-swing (and boy, what that does to it!) 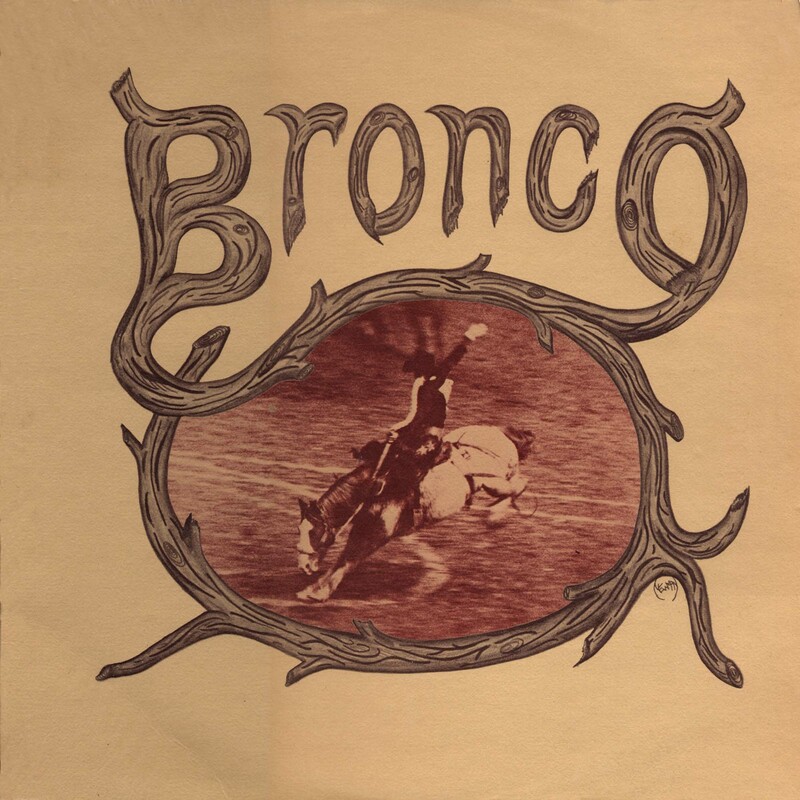 This band's arrangement, with Raymond and Rex helping out on fiddle and pedal-steel, respectively, makes this a real foot-stomper. Comments: Peaceful Life was written once (long ago) when Sally's dad was threatening to retire from the Post Office. He hasn't yet, but every six months or so, he gets to talking about retiring and moving to Kentucky. Mike and Bill wrote this song for him, just in case he ever does. Comments: This song, written by Bill Hahn, sounds a little like it might have been written by Paul Mcartney except for the banjo, which gives it a more country flavor. Comments: Make It Simple is a song about how a song should be made - simple and clean and not cluttered by a lot of gimmicks or fancy foolin' around. Bill and Mike worked together on this one. Comments: This song is about the Ritchie family home in Viper, Kentucky, where Sally's mom was raised. Mike saw it for the first time on a winter evening and started working on this song. Sally helped. It captures some of the feeling that all of the Ritchie clan have for their homeplace in the mountains. Comments: Have you ever felt like that? Well, Mike did one day, and wrote this song. It's about your typical bad day. Comments: The hardest person to fool is yourself, but some people try anyhow. Bill fashioned this tune from a conversation he and Harold had with a guy in a bar. Dave Crandall provides some funky harmonica work. Comments: Too Many Shadows, written by Jean Ritchie, is one of those lonesomey country love songs. Sally wanted to have one of Aunt Jean's songs on the album, but it was not an easy choice. This one finally won out. Comments: "Stick and stones will break my bones, but words will never hurt me." How many times have you heard that old saying? Well, I never believed it. Words can hurt. This lyric was witten by Tom Yates, Mike's dad, and Mike provided the music. Comments: North Dakota Morning was written by Jim Dicks, Norman Knight, and Dan Vincent, in the back of a van full of equipment as they were on their way to a job in North Dakota. 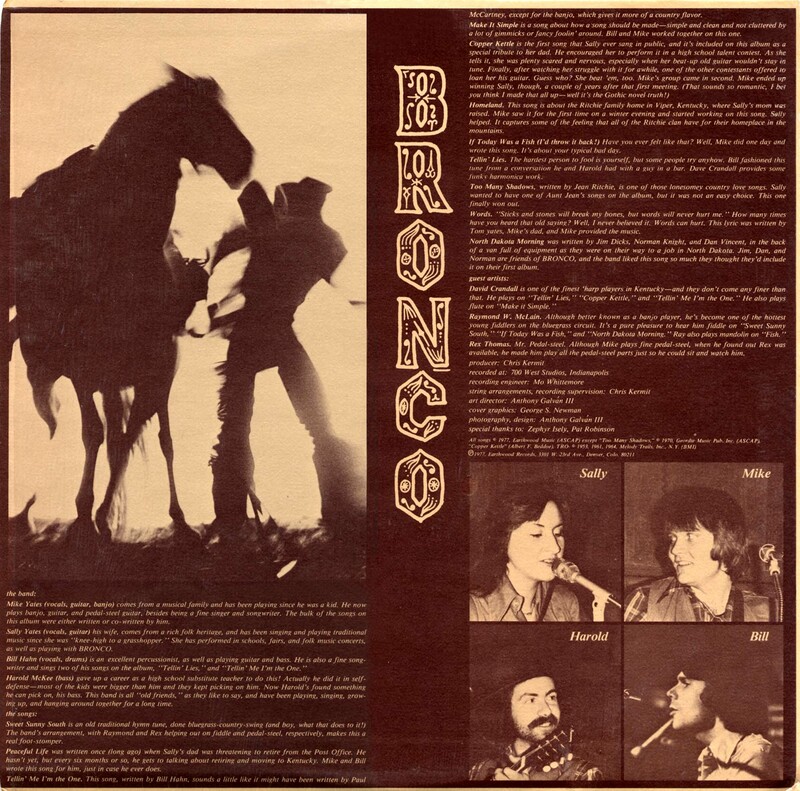 Jim, Dan, and Norman are friends of BRONCO, and the band liked this song so much they thought they should include it on their first album.